The Italian peninsula had originally been settled by a Proto-Nordic/Alpine Mediterranean White racial mix during the Neolithic age, with the Alpine and Mediterranean elements being in the majority. From around 2000 BC, Indo-European migrants from central Europe (and originally from southern Russia) settled in northern Italy, crossing the Alps from present day Austria and Hungary. Amongst these people were Celtic tribesmen known as the Latini. Racially speaking, these tribesmen were predominantly Nordic in nature. 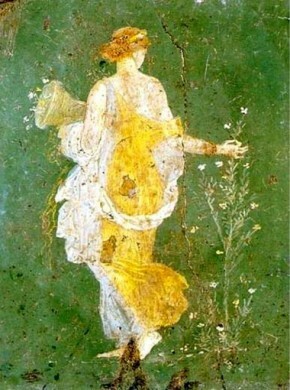 Another group of Whites, known as the Etruscans, also settled in Italy by the year 800 BC. As early as 131 BC, the Roman censor, Melletus, had called for a law compelling Roman citizens to marry—Caesar, Augustus, Nero and Trajan all offered prizes for Roman citizens having more than four children. It is interesting to note that the original Indo-European descended Romans viewed anyone who was dark with suspicion. The Roman proverb “hic niger es, hunc tu, Romane, caveato” (He is black, beware of him, Roman) is recorded by Horace as being a common saying amongst Romans of the time. (Sat., i. 4, 85). This is not to say that the Romans of the Late Republic or of the Pax Romana resisted the physical integration process. On the contrary, they seemed to have welcomed it as an essential part of Empire building and as a means to keep subdued populations under control. It is unlikely though that they could have foreseen the long term consequences it would create. When the last of the true Romans were bred out in the vast reaches of the Empire, so did the original spark which had created the Empire in the first place. Hence there are today only Roman ruins in Africa, the Near and Middle East, and indeed even in Rome today—silent monuments to a people long gone. In 212 AD, in an apparent attempt to broaden the Roman tax base, Caracalla passed an edict giving all free males within the Empire citizenship of Rome. This proclamation, which effectively turned centuries of Roman law on its head (previously Roman law had always sought to prevent Roman citizenship passing to those outside of Rome), had effects far greater than just broadening the tax base. Early Roman law had made provisions for the maintenance of racial homogeneity amongst its citizens, by stipulating that persons could only be citizens of Rome if both their parents were Roman citizens themselves. 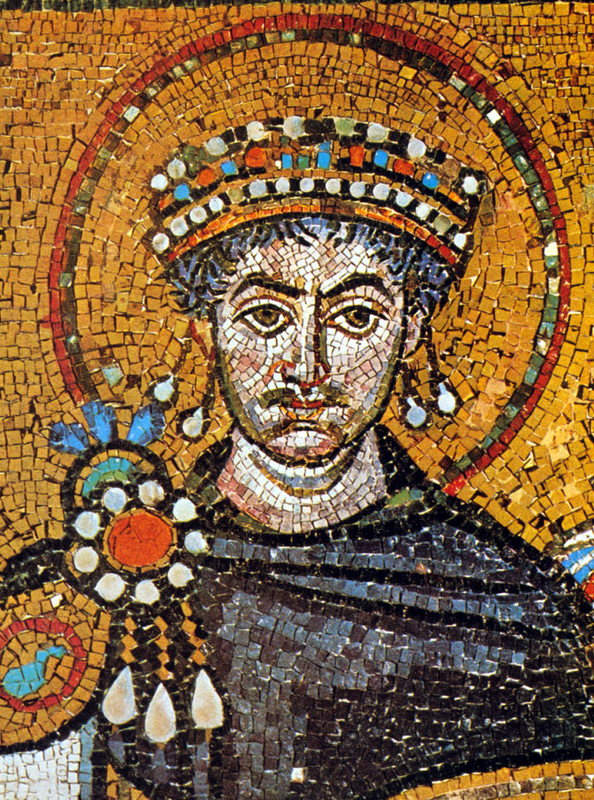 While the early Romans placed great emphasis on maintaining their racial homogeneity, by the first century AD, the idea of universality had become an undercurrent: it was to become the main train of thought by the second century AD, and is directly linked to the rise of Christianity, which has the world-view of the universality of man as its underlying creed. By the time of Caracalla’s edict, the sheer size of the empire and the fact that it had already included so many racially alien elements within its borders, had made a large amount of racial mixing inevitable—Caracalla’s edict gave legal support to this process. Interracial marriages and mixed race children became more and more common after this, and slowly but surely, Rome and the Roman Empire in the Mediterranean lost its majority White leadership core. Thus the fate which had befallen all the other great civilizations, namely the disappearance of the people who created those civilizations through physical integration, crept up on Rome itself. Although this change in racial demographics was not as marked in Rome itself as in the easternmost outreaches of the Empire, it was however dramatic enough to change the very nature of the civilization. Foreigners from all over the already mixed race Middle East poured into Rome, attracted by its wealth and status. Being granted citizenship, these foreigners were steadily absorbed into the Roman population, to the point where today only a very few Italians can still today claim pure Roman descent. Huge swathes of the southern part of Italy and Sicily are today clearly non-White, being mainly a mixture of Arabic and White, while in scattered places there are flashes of the original population, light skins, light eyes or light hair—as there are right across the Mediterranean and as far afield as Iran or India. The path followed by Rome mirrored that followed by Sumeria, the Near East, Egypt and Greece. All these civilizations remained intact as long as the society which created them remained homogeneous. As soon as these societies lost their homogeneity and became multiracial, the very nature of the societies changed and the original civilizations disappeared. Rome would prove to be no exception to this rule. I really don’t see the product of miscegenation in the Italian people, except for Sicilians. Lynn has done IQ studies which show Northern and central Italy as being one of the most intelligent places in all of Europe. Italians get bashed for being ‘swarthy’, and I myself have dark eyes and dark hair being half-Italian, but I think that many Italians are some of the most beautiful people in the world. I see NOTHING inadequate with having dark features (not skin) as opposed to light features. I like the way I look and would never trade it for blue eyes and blonde hair. There is evidence that the ancient Roman aristocrats were of Nordic extraction but I just want to make in clear that having black hair and eyes is not a product of miscegnation. “Dark features”, not skin? You mean faces like Heimbach’s? I just meant dark eyes and dark hair with a nordic skull. Most Italians do not have dark skin, although they tan much easier. For instance, on my Italian side, most have blonde hair and blue eyes during their youth. I’ve never understood the stereotype of ugly Italians with big noses; that’s not the case in my family anyway. This part of Kemp’s historical novel caused an enormous uproar some years ago.Probably better to not even bring it up. Quite the contrary: it’s precisely because I live in Mexico (where the experiment with mestization and mixing Amerind blood with blacks took place on a gigantic scale) what explains why I am so obsessed with this subject. Kemp is right that Sicilians and a substantial part of today’s Greeks and Portuguese cannot even be considered white. There is no Western peoples left on the planet that has not been contaminated to one degree or another by miscegenation. That being the case, the greater part of the racial struggle is to retain the “European” culture that has been created in order to retain its evolution; culture is immedidate and conscious; racial memory, that which has not suffered under the scalpel of lib-mod culture, is distant and sub-conscious. Of course, but Greeks are still more mixed than the Nordics. I’m just curious do you think that the dark eyes and hair of Meds is the result of miscegenation with the East and Africa? I would have to very much disagree with that. Nothing new under the sun. All empires at stage of decline and relative decadence/effeminacy (not to be mistaken for homosexuality) exhibit similar traits. Well the Greek party is called Golden Dawn. They probably place the Gold above White in terms of ‘Skin Hierarchy.’ I guess they would also dispute Kemp’s assertions since their mongrelized ‘Roman Empire’ lasted another 1000 years, most of which, they were using the superior Nordics as mercenaries. You have not read the entries about Constantinople: a mongrelized town that precisely because their blood-mixing it fell prey of Muslims. You do know that Byzantine Emperor’s were ‘mixed’ by Kemp’s standards from the beginning? Which challenges the original assertion that once the Nordic Masters of Rome mixed, there was no more Rome? But hey, let’s keep implicitly calling everyone not Blonde and Blue-eyed a Mongrel… that will help us. You misrepresent him. Kemp himself looks like a “mongrel”, but he knows that Mediterraneans are darker than the Nordics. Why do you worry about the white race, when all white men do is marry Asian women? You apparently are not worried about white future: actions speak louder than words. Not all white men marry Asian women. Chechar, to everyone: given that the Irish are known for being light-skinned (Chechar classifies Celts as Red Nordid, if I’m not mistaken), and therefore unlikely to be mixed, how did it happen that in many studies such as Vanhannen’s, Ireland had one of the lowest IQ scores in Europe? I don’t classify them as “red nordids”—that’s the classification of Evorpa Soberana. This guy is attempting to troll you idiots. What I love is to expose a liar. Kemp never said that. As to Egypt IIRC Kemp said that some pharaohs of early dynasties had reddish hair (now their real whiteness demonstrated with genetic studies of the mummies); that Homeric Greeks (not sure about Minoans) were blonds (see another source corroborating it), and that the Portuguese mixed with negroes; not with Jews. That said, I’m not much of a Kemp fan. Not because of what he says, but because, unlike Pierce, he doesn’t make his arguments airtight from idiots. Is this what D. S. R. was talking about? I’ve just deleted your last three comments because I found out that VinlandicFury = DSR’s sockpuppet.